During his trial in which Socrates made the noble choice to die versus being exiled from Athens, he said, “the unexamined life is not worth living.” And this quote became the title of my first journal in 1997. Although I had written poetry and prose before, that year I made writing a means for self-exploration and still do. Yet, writing isn’t just a road to travel inward; if meditation techniques are applied to writing or any form of creative expression, then it can become a profound practice of connecting you to your core. Because if you think that you are not creative, if you believe that you are not generating creation moment after moment, think again. The moment you shift your awareness inwards, when you roll away the stone to the dark dome within, you will find a fountain of creativity. You see, every thought, idea, image, feeling, and bodily sensation you have is an expression of one sort or another. Each of your inner experiences are a part of the abundant fountain that lives within. This fountain is incredibly powerful and purposeful. Sure, when you begin to write or create as means for self-exploration, you’ll see the emotional, psychological, and soulful reflections of yourself, and that may or may not be challenging. However, if you can take a step back from the material that is arising within and use that fountain of energy as a means for meditation, transformation will unfold. 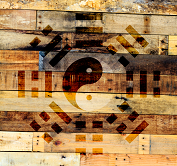 Using certain meditation techniques while writing or creating can facilitate this transformation. For instance, make your writing a meditation. Just as in traditional meditation where you return to the breath whenever you notice your thoughts pulling you astray, the same is true here. Whenever you notice yourself not writing, you return to giving your inner experience outer expression. The point is that there is often personal material within that is difficult to look at. Because the inner creative fountain releases everything – including what’s difficult to face – you may unconsciously stop and find yourself looking out the window instead of writing. When this happens, you simply return to the page. Just as you would gently return to the breath in meditation, you return to your creative expression. Meditation techniques applied to creativity can boost its flow and fecundity, if you’re willing. Creative expression leads to opening inner doors to material that’s hard to face. But that’s the power of creativity. If you’re brave enough to allow everything to arise, the fountain of life is waiting for you. And that’s lead to more meditation techniques. An important one to remember is to give your inner experiences outer expression nonjudgmentally. Of course, this takes practice. Meditating on the breath regularly can help with non-attachment and freeing yourself from the identities that bind us. Another meditation technique is to do this at the same time every day. Create at the same hour every day – whether that’s in the morning at 6am or right before you sleep at 10pm. However, making it a regular practice also facilitates change. 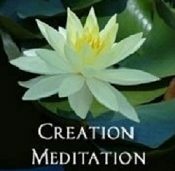 The meditation techniques listed here are meant to bring you closer to the fountain of creativity, the river of life that is forever flowing inside. Tending to it will wake you up to its ceaseless flow.